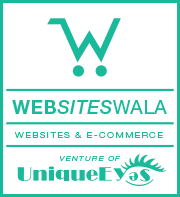 Websites Wala develops websites in 7 Days utilizing the most cutting-edge technology to design sites quickly, efficiently and effectively, cutting out all the normal busy-work on which you would normally have to spend time and money. Being in this business for more than 6 years, and working with a wide range of clients, we assure you our experienced team will put forward a suitable work plan for you. We believe in being there for our clients at all times. So if you face any problems, all you have to do is pick up the phone or write us an email and our team will waste no time in getting back to you. Getting your business on the Internet has become a must now, and we help you do this at a very affordable price. Come to us and we will give you a product that seems worth more than what you’ve paid! Browse our vast collection of website templates.Choose the one that suits your business. Publish your website within 7days. Enjoy the services & solutions we provide! Website design in under a week! Get an affordable, eCommerce website design in under a week.